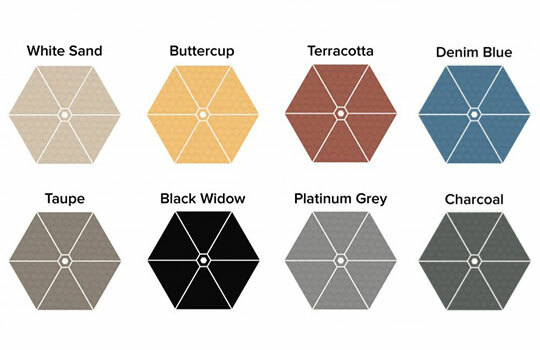 Wall Mounted Umbrellas Adelaide | Premium Outdoor Umbrellas. Strong, Premium Wall Mounted Umbrellas. 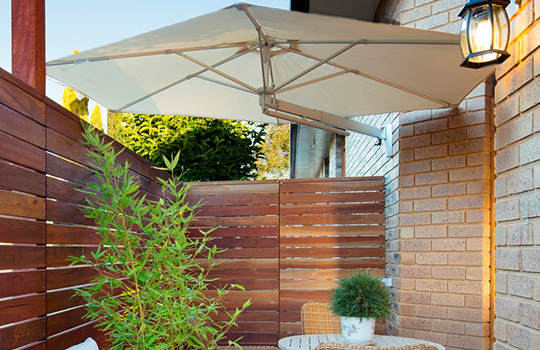 Designed to mount off a wall, pillar or post, this instant shade wall mounted umbrella is an ideal solution for courtyards, patios and decks of Adelaide with limited space and/or ground fixing restrictions. Effortlessly simple to operate, Wall Mounted Umbrellas fold away tidily when not in-use and can be completely removed from its mounting without the use of tools. The wall mounted umbrella is a great way to maximise space in narrow or small spaces because there is no pole, or base on the floor to get in the way. 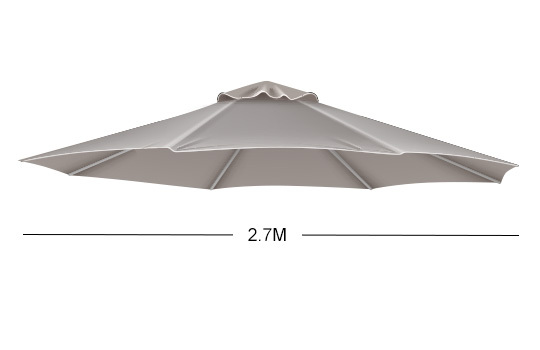 The wall mounted umbrella canopy is manufactured from Premium Olefin ‘COSLAN’ fabric with shade rating of UPF 40+. This high quality shade fabric is 100% solution dyed, water repellant and comes with 8 fabric colour choices. This bracket is secured to the wall and the umbrella is mounted from it. 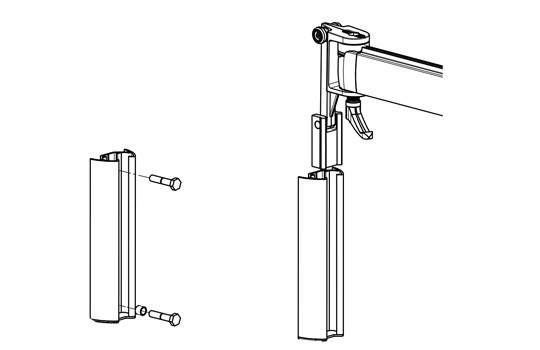 The wall mounted umbrella can be collapsed down and folded away against the wall or simply and completely removed from the bracket when not in use. The protection cover protects your wall mounted umbrella from the weather when it has been lowered. It’s included at no extra charge and will assist in ensuring that your outdoor umbrella always looks clean. 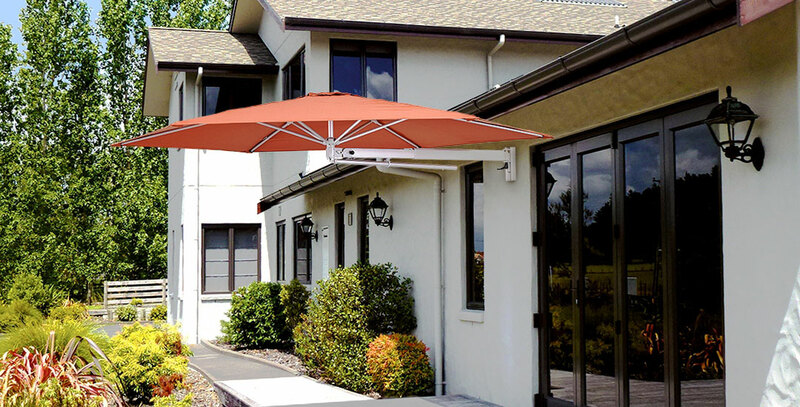 Wall Mounted Umbrellas come with a 2 year frame warranty & 2 year canopy fabric warranty. Contact Inviron for more information about Premium ‘Wall Mounted’ Umbrellas’.